I fell. I fell hard. The wagon was going too fast and I slipped. The ground was hard against my face. I lay there face down in the dirt. I could feel the grit of the brown, ugly, dirt in my mouth. I lay there hoping that I could muster the strength to get back on the wagon. The wagon has patiently waited for me. The wagon has stood there, waiting, ready to move on. The destination is unclear. I lay waiting for a miracle to pull me on the wagon. The miracle came in the form of a week’s worth of headaches . The realization came that I cannot continue eating this way any longer. I pulled myself up with the strength given to me by the grace of God. I got back on the wagon this week. Clean eating is hard. It is hard to eat out. It is hard to see everyone around being able to eat in the teacher’s lounge and not worry if this will trigger a headache. It’s hard to watch everyone around you be–normal. It is hard to be different. I already stick out because I am a thin person. I work as a junior high teacher. I literally blend in with the students. The students comment on how “tiny” I am. They have no idea, the health issues associated with my size. (the height, not so much.) I already feel different. Now, I am trying to eat in a way that is uncommon. It’s never too late to begin again. It’s never too late to start over. I started over today. I pulled myself up after two weeks of eating horribly and now back on the wagon. I will fall off again. I will learn the hard way. My eating has to within the realm of what I can handle. Those trying to be in the clean eating/healthy eating club; keep at it. It’s hard. People around you may not understand. temptation will always be there. But whatever your reason may be, success will find you. I have also begun my half marathon training for the season. 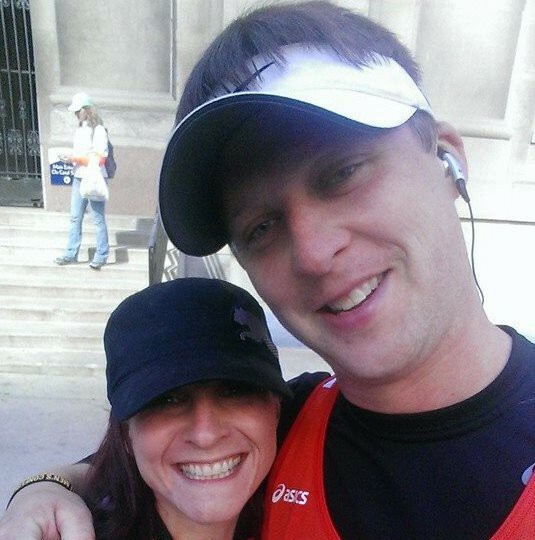 My husband and I will end it by running the Chicago Marathon in October. This will my second time running it and my husband’s first. Also, any thoughts from my readers on cross-fit? Wanting to try it out, but not sure if its worth the money? It is affordable? In our home, money can be a little tight. If it’s worth the money, then I might try it during my training season. Thoughts? This entry was posted in fitness and tagged chicago marathon, clean eating, crossfit, failure, fitness, half marathons, health, marathon training, T25, workout. Bookmark the permalink. My friend, I know it’s hard to eat differently than others. It is hard to be different! Know that I’m here and will help if I can!!! And I understand. Truly, I do.